As SUP grows through its variety of disciplines, locations and SUP clubs, the requirement for good, fun and safe coaching is needed. This, more often than not, comes in the form of a SUP coach. So, why become a coach? There are often several reasons why paddlers attend coaching courses; to help clubs develop, to further their own skills and knowledge or to become a professional within the industry to name a few. 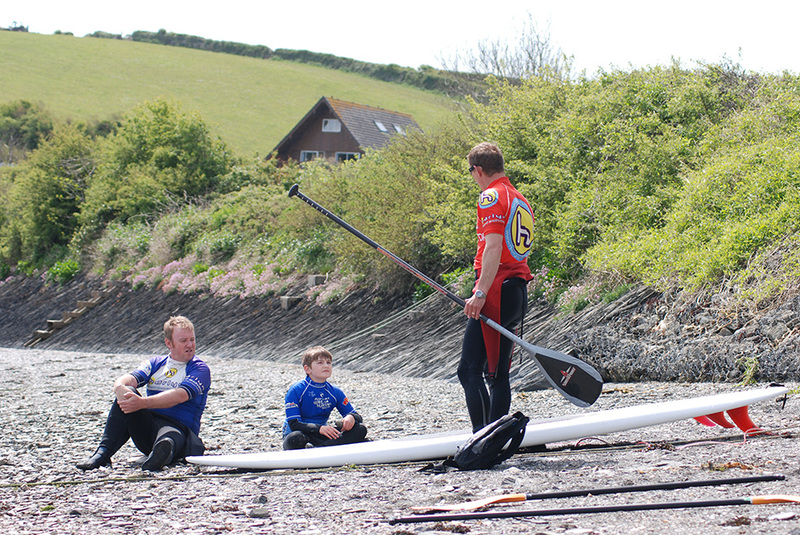 Ben Longhurst from Water Skills Academy gives us the low down on what being a SUP instructor is all about. Firstly, a good and solid skill set is essential, coupled with the desire to learn and work with others. The skill sets required will vary between each discipline you would like to coach, however initially, to coach beginners / improvers in a sheltered environment, you will need to be able to proficiently paddle forward in choppy conditions, turn effectively using a variety of strokes, and handle your paddle and board proficiently..
What should you expect from your training? The professionalism of the training organisation should be high from the outset; lets face it, we are often handing over a great deal of money and investing time. This should be reflected in the venue you walk in to, the trainer’s experience and knowledge, and obviously the course content. Practical sessions should allow you to try new things, whether that be new equipment, new ideas or by being coached yourself in part. Often it may be the first time you have had any training; and you’ll certainly gain a lot from seeing a delivered session. The outdoor practical venue should be suitable and form the main part of the training, equipping candidates with the knowledge and skills to work safely with clients. A training course is simply that. Whilst formal assessments will form the end of the process, this should not detract from the learning, the focus and enjoyment of the course; there should be a separation between the two. Coaching organisations offer a variety of routes to become qualified in the various SUP disciplines. The Water Skills Academy (WSA) approach is to deliver core-coaching courses at the entry level and beyond. WSA courses equip the coach with a variety of skills, knowledge and the understanding to deliver SUP coaching to beginners, novices and improvers in a sheltered water environment. Entry level coach qualifications begin with the WSA Safety and Rescue Course (1 day) and WSA Foundation Course (2 days training + 1 day assessment). It is worth noting at this point that a current first aid certificate is essential. The SUP Safety and Rescue course allows a full understanding and practical application of safety considerations and rescue techniques that may be needed during an on water session. The course includes towing, incident management, board rescues and in-water rescues. Knowledge will be gained in effective communication, equipment and recognition of other services, such as lifeguards and the coastguard. As a coach we may never draw on some of the techniques – but others we may use regularly. This course content is designed to be effective through a range of other SUP disciplines in more adventurous settings and will equip the coach with essential safety and rescue skills. 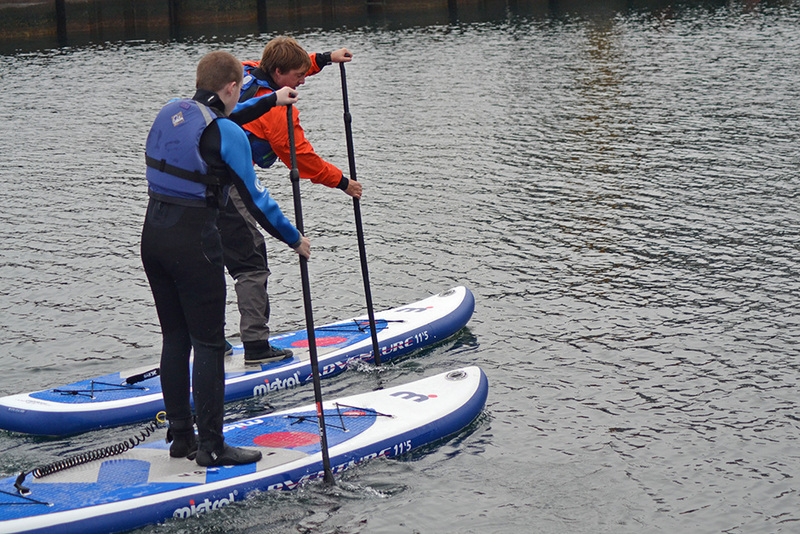 The Foundation Coach course is a two-day training course that will enable the coach to safely introduce stand up paddle boarding to beginners and novices in a sheltered water environment. Participants will gain essential knowledge of equipment, group management and the coaching skills to effectively get students paddling. Additional knowledge will include fault finding and correction with a good understanding of technique. You will leave the course able to plan sessions and confidently deliver them, working within the structure of a club, school or centre. The approach used for all coaching courses provided by the WSA is based on two days training and one day assessment. Unlike some other providers, it is acknowledged that two days training is the minimum delivery time to gain the knowledge and practice delivery. This adds less pressure during the course for clients and allows total focus on the training. From here, prospective coaches can return when they and the trainer (following an action plan) feel ready to present themselves for assessment. This approach formalises the process, does away with the feeling of an attendance qualification and ensures that the logbook hours gained assisting other coaches have a recognised goal. Ultimately, this produces a knowledgeable, safe, fun and prepared coach. To provide a coaching service to any group, whether a voluntary club coach or as a freelance coach within a commercial centre, we are always asked about insurance. As a qualified WSA Coach and member you will have both public and professional liability insurance as part of your membership. However, insurance is not a cover for negligent practice. Many coaches qualify at the Foundation level and are happy delivering in this environment. However, some choose to progress their coaching into other areas. A popular progression beyond sheltered water is open water and larger inland waterways. This is often presented as tours or journeys. The focus shifts to managing groups of proficient paddlers whilst still keeping a watchful eye on their development. It is in this environment that we can explore challenges to develop the paddler even more, beyond the confines of sheltered water. Coaching or guiding in this environment can create its own challenges and risks – therefore sound advice and training in the form of an additional course is essential to provide clients with a fun, safe and enjoyable experience that ultimately leaves them wishing to return for more. The WSA Adventure Course is a leadership award provided through two days training for prospective coaches focusing on group management and leadership in a variety of environments – mainly open water, hazardous environments. Coaches will gain knowledge of essential safety skills and leadership strategies. Group management techniques and how to effectively use other coaches within your group, journey planning, incident management and safety all play a key focus during the course. Journeying in open water environments presents a whole different set of skills and leadership skills varying considerably from flat sheltered water environments, thus requiring two days training in a practical setting. As SUP has developed, WSA also provides this training course as a workshop for those to gain skills and knowledge without assessment.